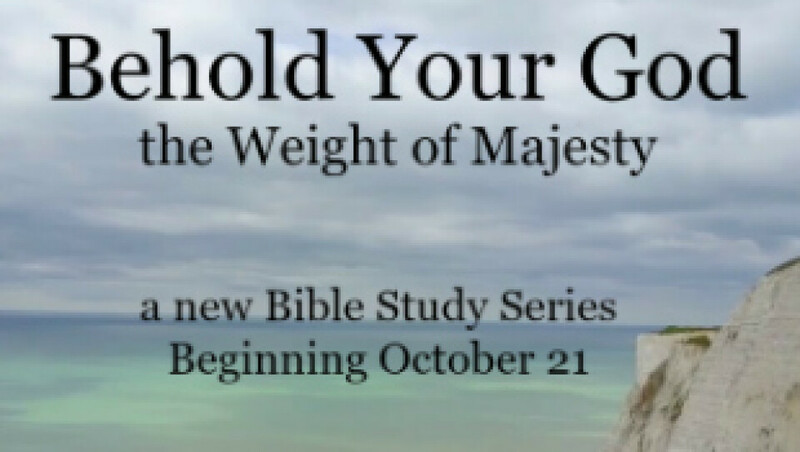 Join us each Sunday evening beginning October 21 at 6:30pm at the home of Darrin and Juli Smedsmo as we study Dr. John Snyder's "Behold Your God: the Weight of Majesty." Each week we'll explore a different aspect of God's character. Workbooks are $17.50. The sign-up sheet is in the lobby.